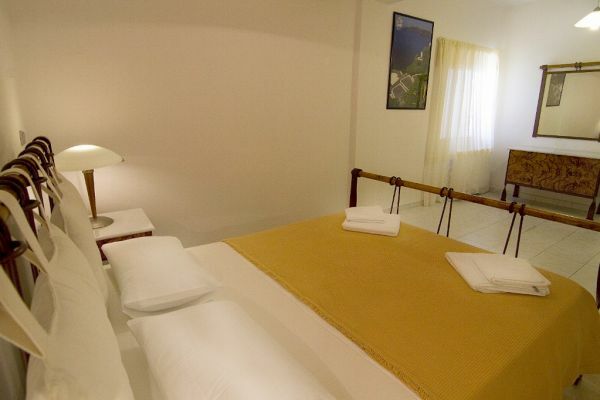 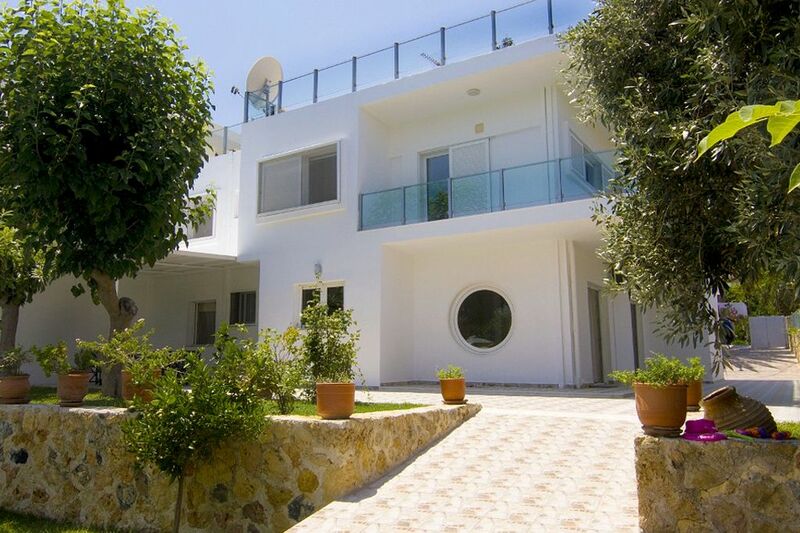 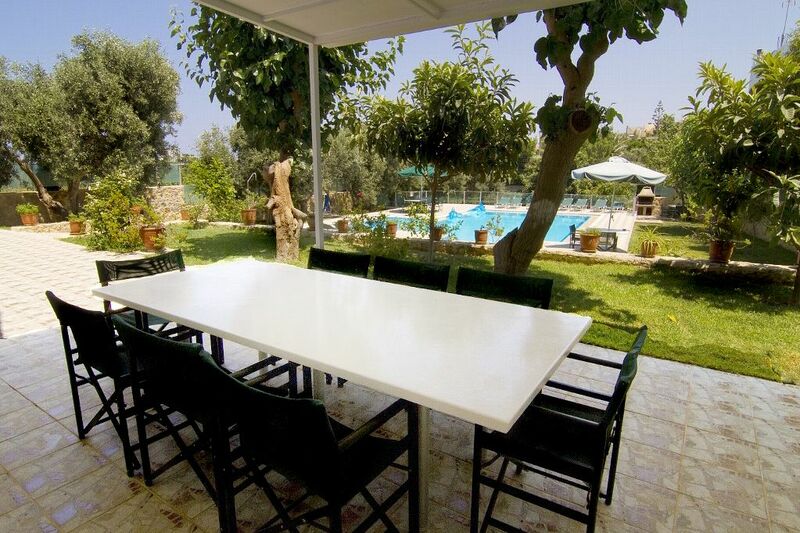 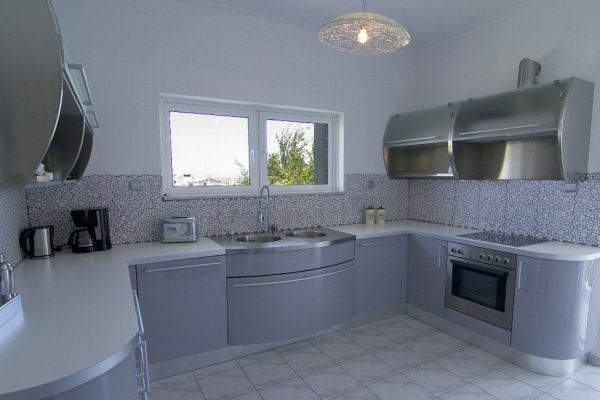 The new villa with its two generously proportioned holiday apartment is in a quiet, yet central location, only 500 m from the white sandy beach of Kalamaki, which is ideal for bathing, and 5 km to the west of the city of Chania located. 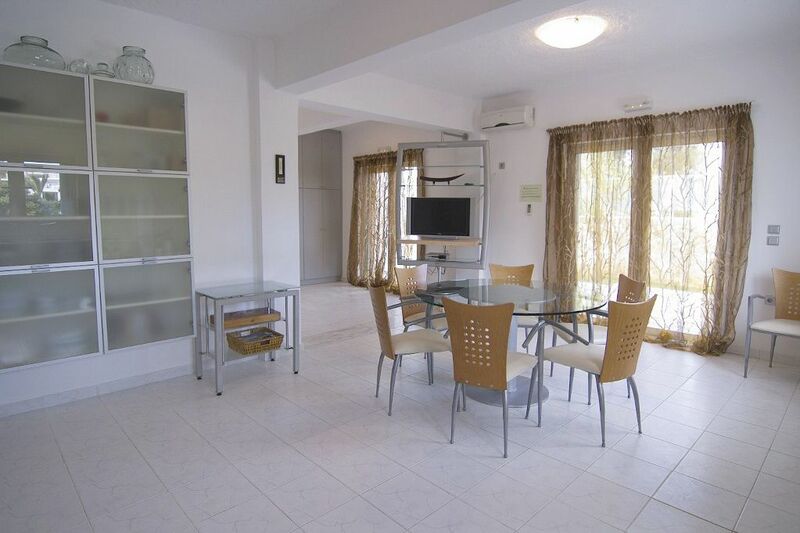 The 140 sqm large apartment at the ground floor offers 4 bedrooms, 3 bathrooms, a modern and tastefully furnished living/dining area featuring a fitted kitchen with all modern facilities. 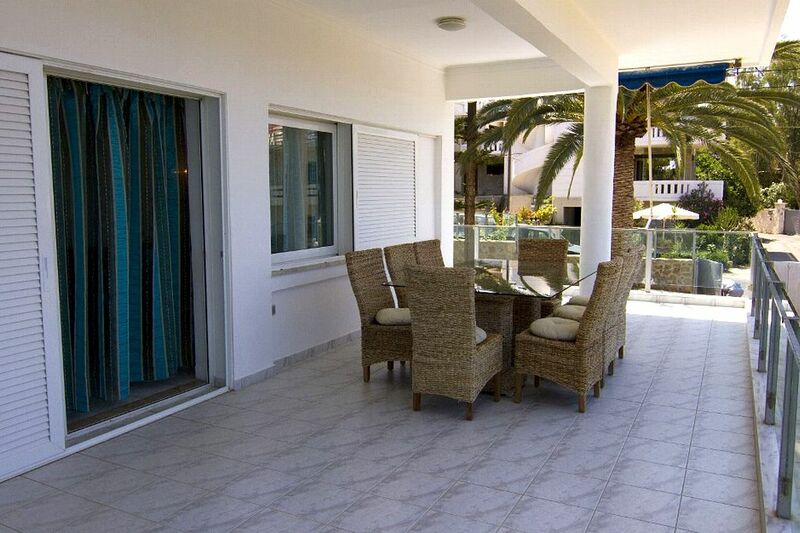 There is direct access from the apartment to the garden, which has a separate pool area and barbecue. 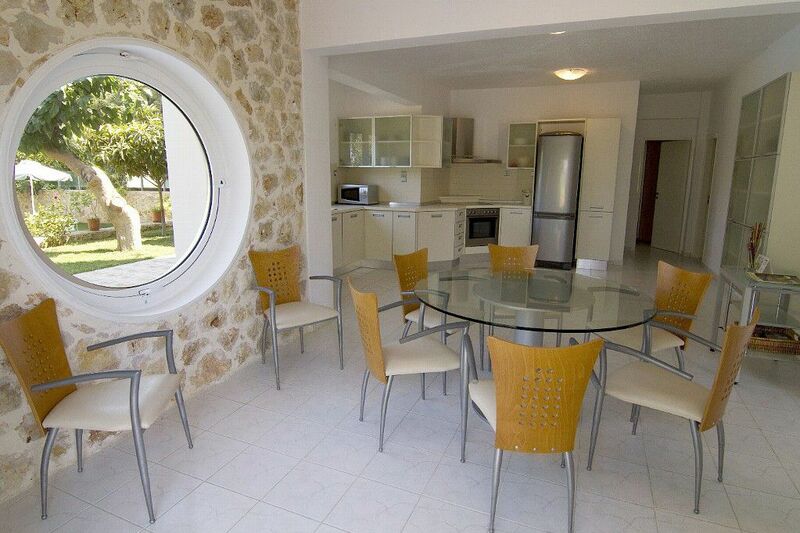 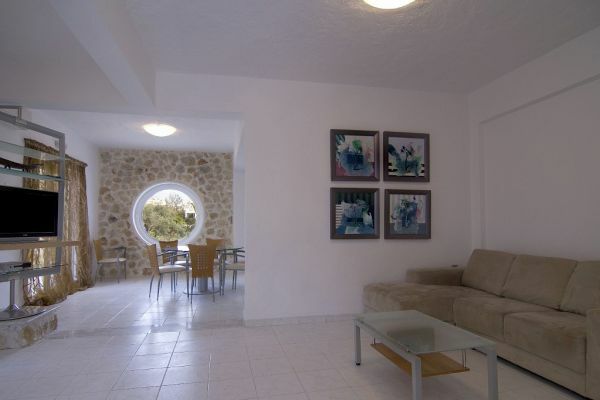 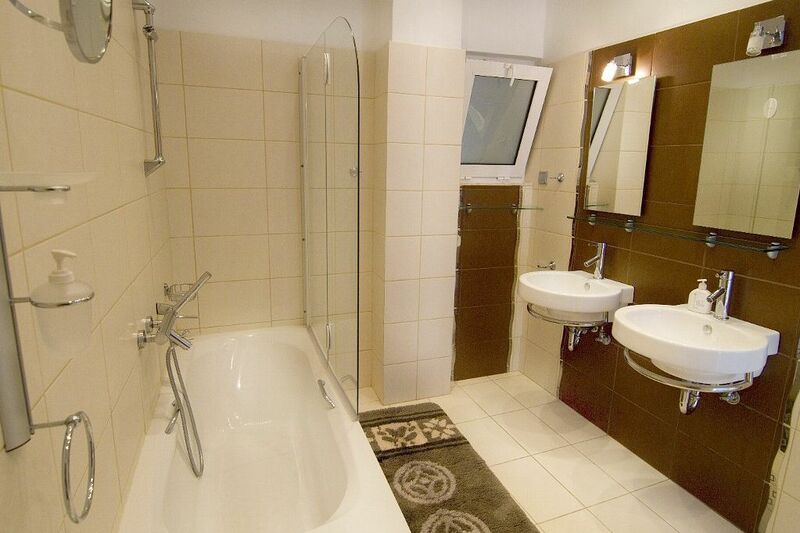 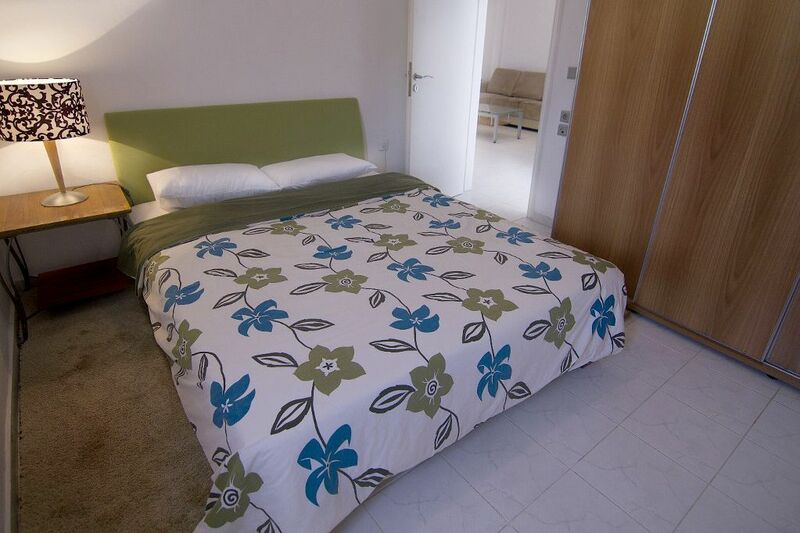 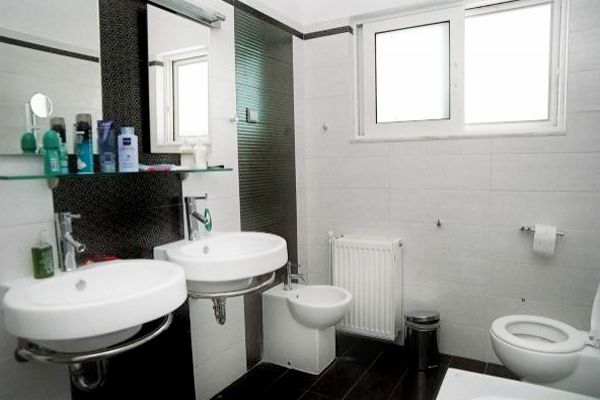 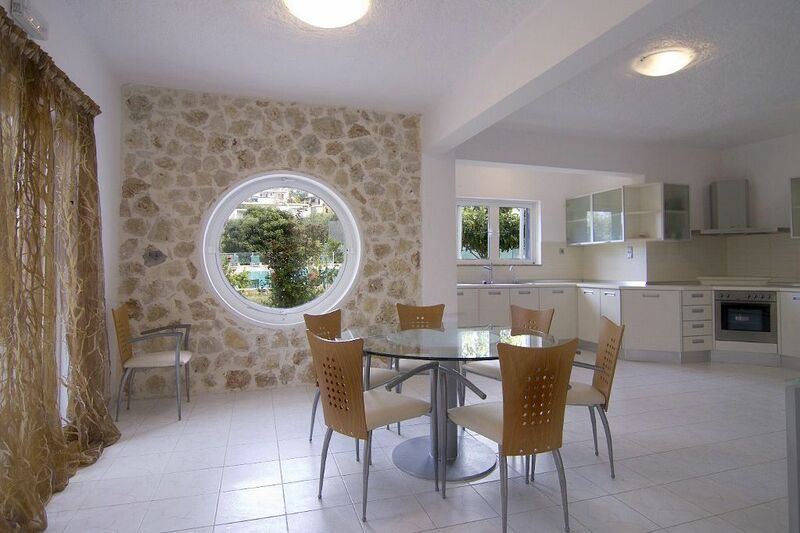 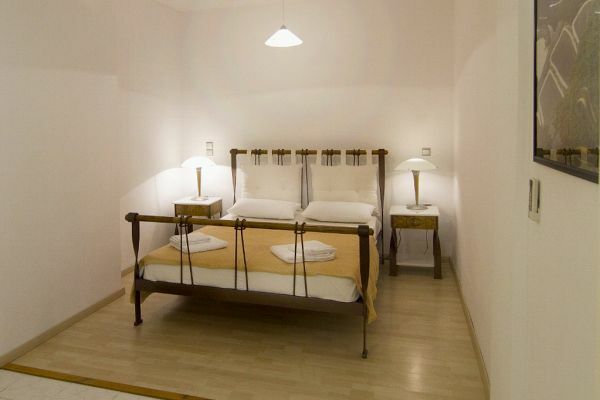 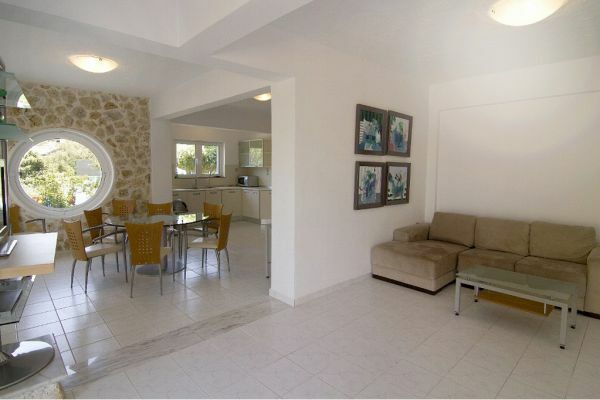 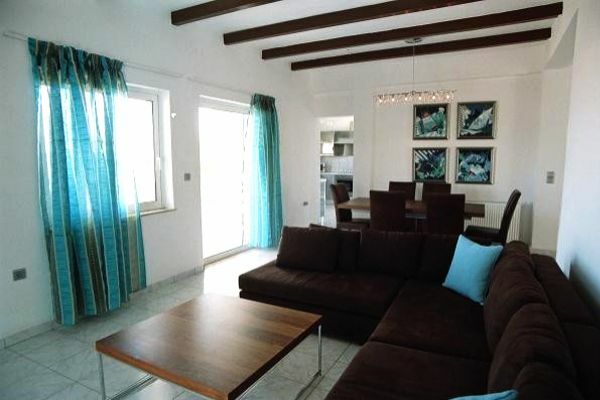 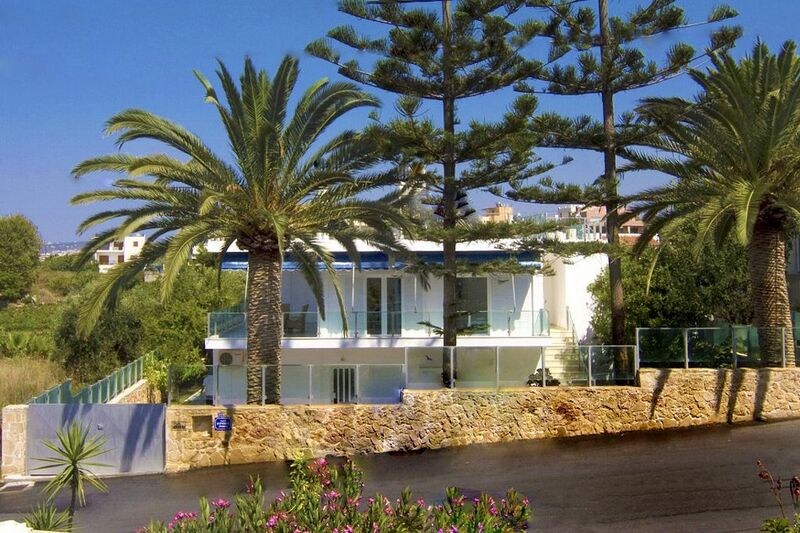 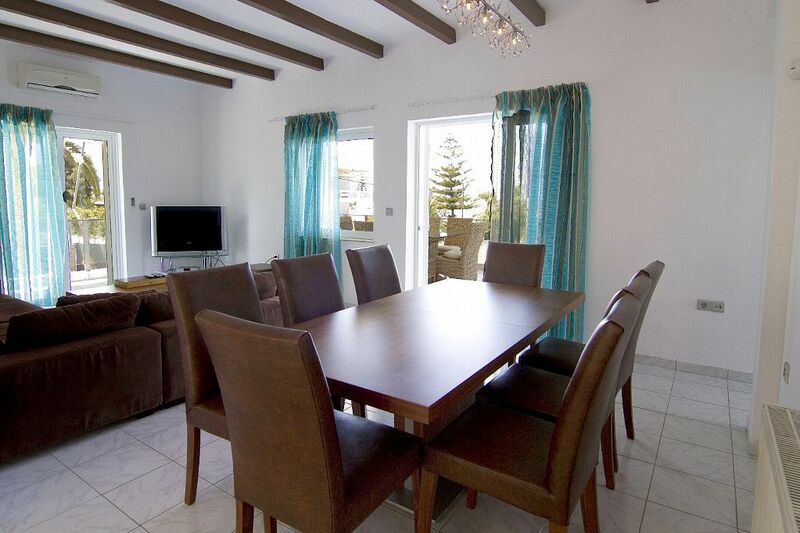 The upper floor apartment offers 3 bedrooms and 2 bathrooms, a modern kitchen and a large terrace with sea view. 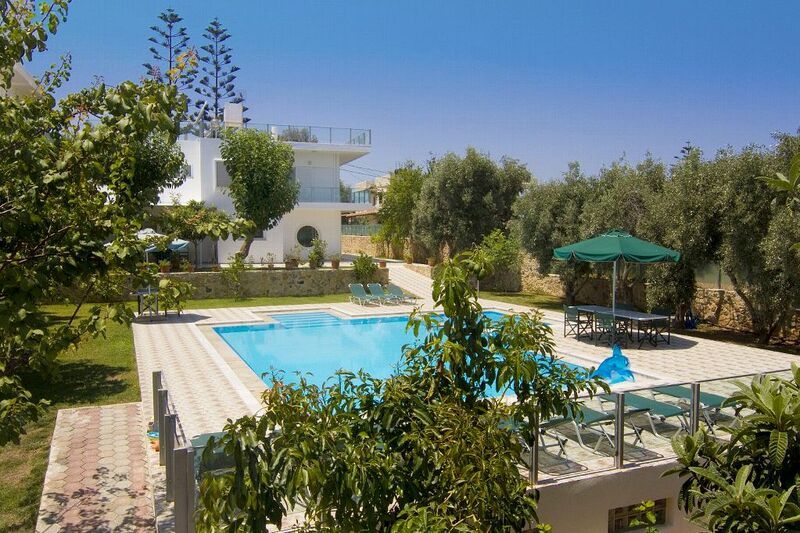 In the 1260 sqm of wonderful surroundings there is a private pool (whirlpool) as well as a separate children s pool, sun beds and garden furniture, a barbecue area and a perfect lawn. A wide variety of fruit trees, cypresses, olive trees and herbage provide shade during the hot periods of the year and privacy for you, your family and friends. Crete is one of Europe's most popular holiday regions and offers miles of golden sandy beaches, historic towns and monuments, unique landscape, high mountains which are covered in snow during winter, green valleys, unique and mighty gorges - not forgetting the warm hospitality of the Creatan people, which will leave behind lasting memories. 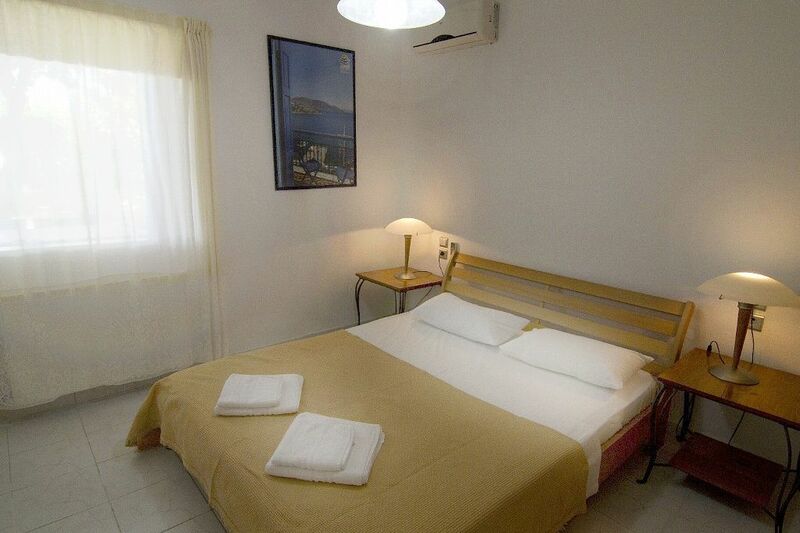 Just to mention a few of the best known destinations: The Samaria Gorge, the largest national park in Europe, Knossos and the archaeological museum in Heraklion and Chania, Elafonossos and Falassarna, the two 'South Sea beaches' in the West of the island, Balos, also known as 'Pirate Bay', in the extreme west of the island. Crete offers something for everyone.